Vertical oriented reservoir for different technical liquids. Equipped with ventilation system. Industrial element of terrain, in shape of vertical reservoir. Provides hard cover for any models of infantry or vehicles. You will need any suitable cylinder (up to 76mm width, more than 85mm length, empty can of Pringle's chips suits perfectly). Large upper platform allows to deploy different infantry models on it. Sideboards of the platform are high enough to provide cover for models deployed there. 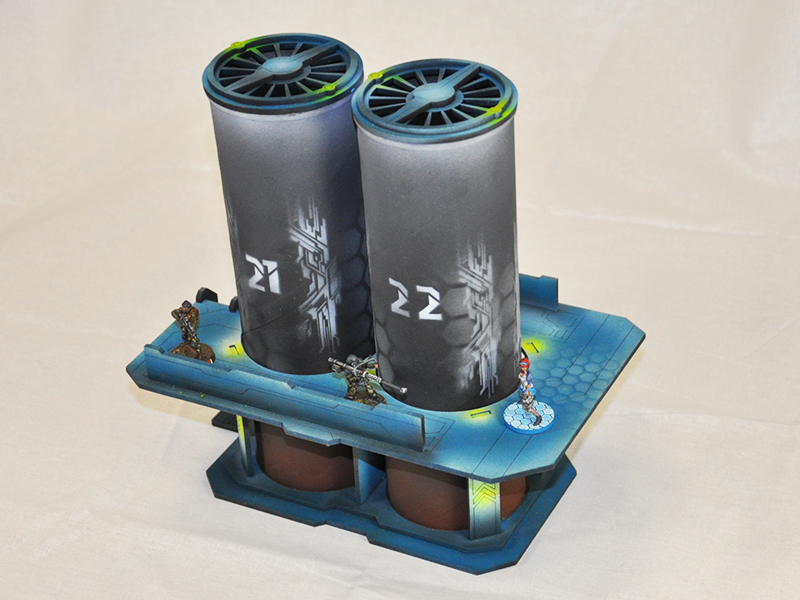 The ladder allows your models to walk up without any special skills. Paint it with acrylic water-deluted paints. Assemble with PVA glue.